eanderson wrote: I copied the below text out of an earlier thread you were part of. I am having a problem with OOMA working with my alarm. I have dsl, I got a dry loop for my dsl and ported my number on 7/30/10. Basically, I did #1 below. I disconnected the landline phone system by going outside and taking the top phone wire out of its slot. (The ATT DSL dry loop technician showed me what to do). I then connected my OOMA Telo to the wall using the Telo "phone port" and now have all of my house jacks working. The problem is that my alarm says I have a "communication failure". I temporarily disconected the alarm form its jack and plugged a phone there and it works. I then reconnected the alarm but I still get a "communication failure" from my alarm. Please explain how to resolve. Alarm controllers are looking for two things: a working phone line (they tell that by sensing voltage on the line) and the ability to control that line (line seizure) in the event of a report. The panel plugs into a special jack called an RJ31X. If you want your ooma to feed your alarm, you need to feed the ooma dialtone to the same spot where the utility did. The easiest way to do this may be to run a new wire (or use an unused pair in an existing cable) to send your ooma PHONE dialtone to the wires in your Network Interface Box. You can wire a new modular jack in that box (if there is room) and plug that little cord that was in the telco jack into your new jack. Then connect up the red and gree wires of that jack to a line running inside (like I said, either new or an existing pair like white/green) and connect the other end to the red and green wires of a jack that is plugged into your ooma PHONE jack. That way your alarm will have dialtone and retain control of the line. 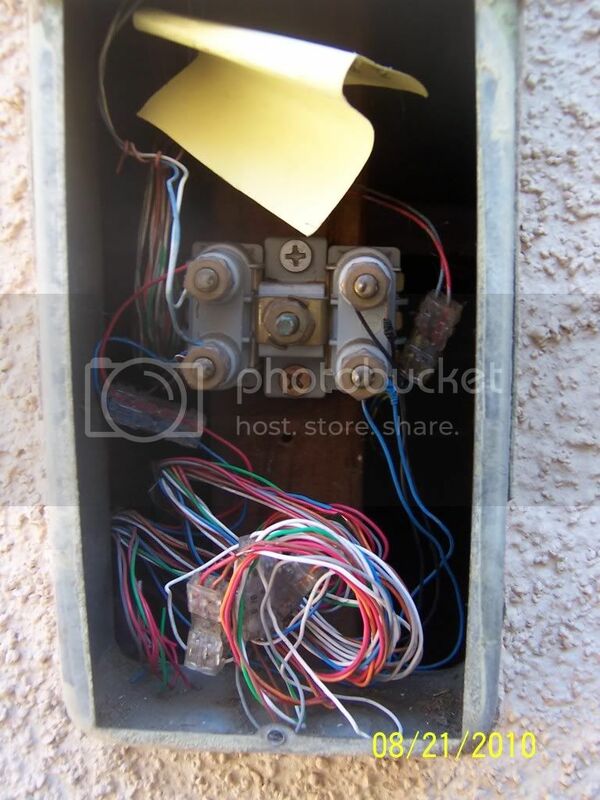 Just a note to remember - that little jack that is currently in the box connects up to the telephone utility - it is the little plug that connects to your home's wiring. Hello...I am a new Ooma customer and my only issue is my Alarm monitoring call doesn't complete. I have read some forum replies to this issue, but it seems to be too technical. Can anyone simplify the instructions for wiring my ooma to the alarm box? Note...I already have my ooma wired up directly to the box just as my phone line did, I just need to know how to change it. Previous to Ooma I had a Cable Telephone service. I had a basic phone cord that plugged directly to the back of the cable modem to the Alarm box. When I rec'd my ooma hub, I just unplugged the phone cord from the cable modem and then plugged it into the phone jack of the ooma hub. This simple move connected all my home phones and like I mentioned above only my alarm call doesn't connect. The interesting thing about my alarm is when I do a phone test the signal gets to my Alarm company okay, but when I trip my alarm that real event trigger the ooma can't complete the call. After I trip my alarm, I can see that the ooma is trying to complete the call, but it can't so it keeps trying until the alarm system gives up. I, too, am a new convert. I had ATT home phone with HSI Express DSL (supposed to be 1.5Mbps but I never saw faster than 700Kbps), but recently decided to get rid of them totally. I ported my home number over and once that was done, I am free from ATT TOTALLY!! I just signed up with Time Warner and got their cable broadband with 10Mbps download. I finally got it all hooked up with the OOMA Telo directly after the modem and before my router. But I don't have the type of NI box mentioned earlier, I've just got a four post connector in the box. The house was made in 1966 and the phone company never changed out the original connector. My problem starts when I connect my OOMA Telo hub to my home phone jacks to supply OOMA to all my jacks in the house. I have the phone ouput from the Telo going into a duplex phone jack (it changes a single jack into a dual). I figure this should put the signal into each jack but all it did was complicate things. Now, if I pick up a phone (Panasonic KX-TG5432 handset) from it's charging cradle, it shows the "line in use" on the handset. When I push the TALK button to get a dial tone, I actually get either a busy signal or the sound you get when a phone is off the hook. I do have my DirecTV HD DVR plugged into a phone jack for updates and ordering movies. I cannot access anything in the DVR setup menu on-screen to change any settings for the phone or to add the *99 into the dial-out process. How can I get all this to work, Please help. Thanks for your time and it's been a pleasure to read the vast amounts of technological knowledge on these forums. I do hope someone can help me. I am not exactly sure what kind of NIB like setup you have but southsound or others might be able to chime in. But, it sounds like you need to get the house wires off them post connectors and connect the like color wires together using splicers tough. Ima2Avoter wrote: I don't have the type of NI box mentioned earlier, I've just got a four post connector in the box. 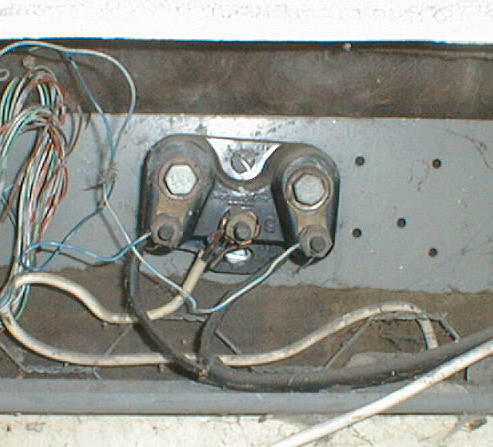 The house was made in 1966 and the phone company never changed out the original connector. Welcome to ooma and to the forum! I agree with lbmofo that your problems are most likely coming from your house being connected to the previous utility. If you have the ability to do so, a picture of the insides of that box would be very helpful. Lacking that, I'm going to post two of the older interface blocks and if either looks like yours, let me know. Thank you "southsound" and "lbmofo" for your input. 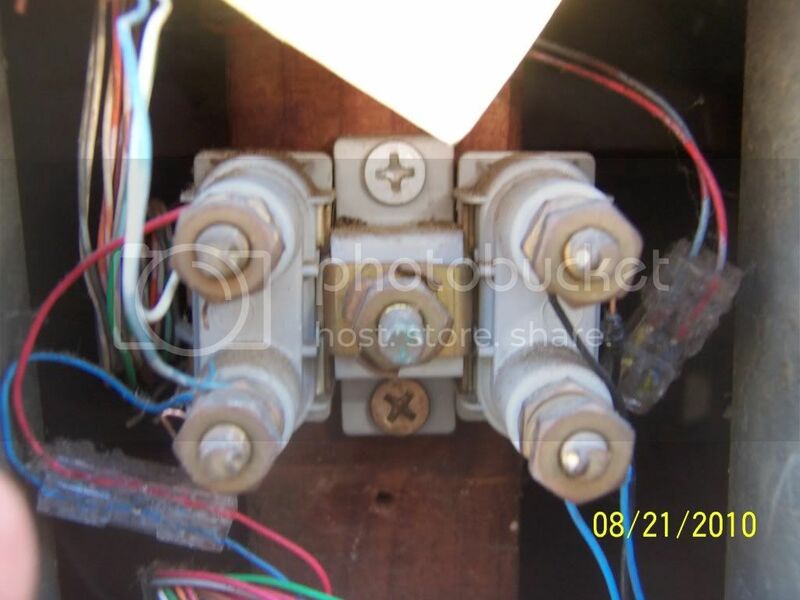 I have what appears to be two of the second picture (newer grounding block) attached to a stud, please view photos at this links below and tell me what to do next. Nice to meet everyone so far, I hope this will fix and educate others like me.